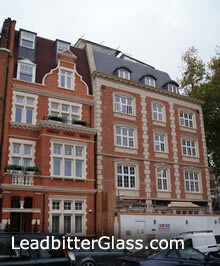 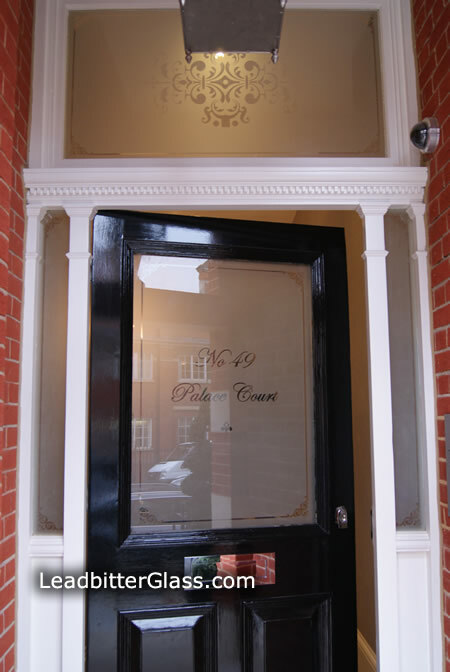 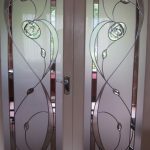 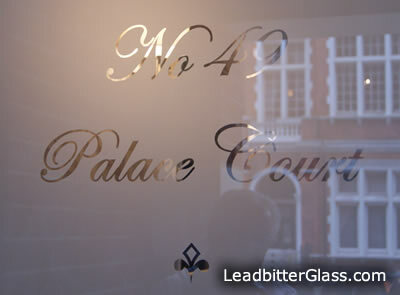 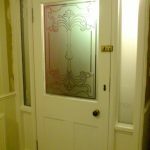 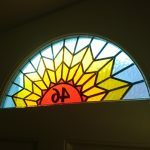 Leadbitter Glass created this beautiful etched glass door set for a high end development in the exclusive Palace Court near Hyde Park in London in 2011. 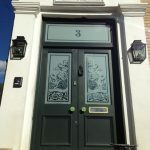 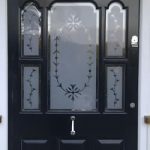 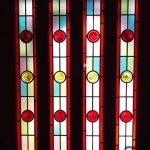 The developers wanted a traditional look for the front door glass to blend in well with the new stone work and internal decoration that was also being carried out on the building. 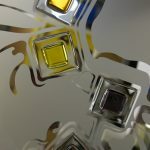 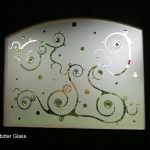 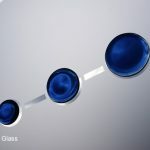 All 4 pieces of glass were created using toughened 6mm clear glass and the design was etched onto the internal side of the glass. 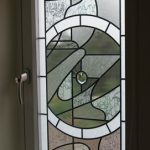 As these pieces were single glazed we used our Sandblast Protection on the sandblasted areas of the design to keep the glass free from stains. 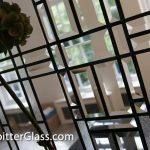 The clients loved the finished design so much, they used a photo of the glass design as the logo for their marketing campaign for these high end apartments.